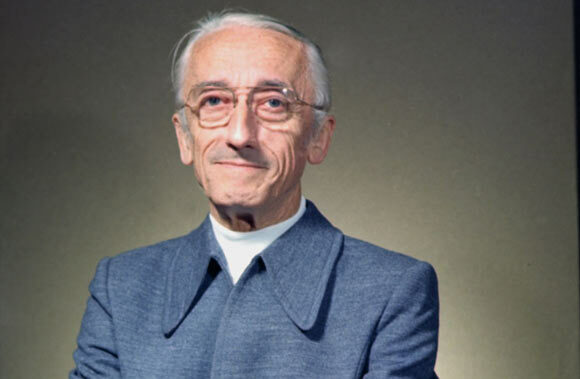 Jacques Cousteau, a French inventor, marine explorer, conservationist, military leader, photographer and a filmmaker, better known for his famed ship Calypso, was born on 11th June 1910 in the village of Saint-André-de-Cubzac, in southwestern France. He was the youngest child of the Cousteau family. His allure for water started when he first learned how to swim at the age of 4. He was not a good student at school and that’s the reason why his parents, Daniel and Elisabeth Cousteau, sent him to a boarding school. After his foundation study at the boarding school in Alsace, he attended College in Paris and then moved to French Naval Academy in 1930. He joined the French Navy’s Information service right after graduating as a gunnery officer. His inquisitiveness always helped him to be a step further than the children of his age. He developed an interest for mechanical objects and upon getting hold of a movie camera he spaced out to see how it operated. In 1933 he met a near fatal automobile accident but luckily survived. During his time in the rehabilitation he ratified into swimming in the Mediterranean Sea. This opened him to the mysteries of the sea and he took up to understand the underwater world. He sailed the world for much of the 20th century and it all started from here. Jacques and family took refuge in a small town near the Swiss border during World War II. This was the time when his work was intruded a bit. But Jacques still didn’t give up and continued his underwater exploration and experiments. He met a French engineer in 1943, a decade after his accident, and they both discussed about their passion towards discovering something. The invention of compressed air cylinders came to the picture and Jacques along with Emile Gagnan experimented with snorkel hoses, body suits and breathing apparatus. Jacques Cousteau, at this time, pioneered, along with Gagnan, co-created the Aqua-Lung, a twin hose underwater breathing apparatus. This allowed the divers to stay underwater for longer time. He was also involved in the development of a waterproof camera. This enabled him and his crew to explore and document the depths of ocean that the world had never seen before. He later joined French Resistance Movement which won him a lot of medals including the Legion of Honor from France. After the war he helped the French Navy in clearing underwater mines and pioneered underwater base camps. This was the first time where habitats for human were made underwater. In 1948, he along with Philippe Tailliez, undertook the challenge of finding the Roman shipwreck (Mahdia) in the Mediterranean Sea. Two years later he leased minesweeper and changed it into an oceanographic vessel which was named Calypso. Jacques then moved on to making documentaries on the underwater world. The very first two documentaries that he made were “18 Meters Deep” and “Shipwrecks”. These brought the viewers to a completely new world. His work even made him win an Oscars. His Oscar winning documentaries include The Silent World, The Golden Fish and World without Sun. He is also responsible for the education of millions about the oceans and its inhabitants and made all efforts that he could for their protection. His efforts in this regard are highly appreciated as he labored to help stop commercial whaling and stopped underwater nuclear waste dumping. His death came as a sudden shock for everyone when at the age of 87 he suddenly died while raising funds for Calypso which was accidentally rammed by a barge. After his death on January 8th, 1996 his foundation and estate fell into dispute which got settled after 4 years when his son disassociated himself from them.